MobileAPPtelligence (http://www.mobileapptelligence.com or call +91 8880 321 321)helps corporates and startups in making their products and services distinctive and different from those of rivals, creating a unique selling point (USP) that, in turn, strengthens its brand. MobileAPPtelligence also plays a major role for leading provider of travel technology products and mobile application development services like android application development and iOS application development services to travel agencies around the world. In this case study MobileAPPtelligence explains why a car rental company should implement a vehicle booking system app to expand it’s operations beyond its core business of car hire. As luxury buses of reputed companies like Volvo, Toyota, Mercedes Benz, etc, are hitting the road, more and more people turn to bus travel , instead of domestic flights and trains. Night bus journeys are getting popularity, since they don’t waste time! Many resort to car rentals to go places. Physical bus booking and car rental offices had mushroomed, but the computer-savvy people prefer online booking of buses and car rentals. Now they want to book vehicles ‘on the go’. So your travel agency can think about hiring a reputed mobile application development company like MobileAPPtelligence to build a vehicle booking app for the benefit of your customers who regularly book vehicles. You will get more business and profit too. Moreover, an app will be more cost-effective than having physical booking offices everywhere. MobileAPPtelligence’s bus online booking system solution is a class of its own. Your customers can book bus tickets on the go. Text message will be sent to the customer as soon as he pays for the journey. You can provide him oodles of buses to choose from. Images of the buses can also be included. MobileAPPtelligence’s car rental online booking system solution has already become popular in India and abroad. We can build car rental reservation engine for small travel agencies or travel booking giants It gives you to have entire control of the commissions and the users at both the ends. We will, according to your suggestions, integrate car rental aggregators like CarTrawler, connect airlines, hotel groups and online travel brands in real time to car rental agents at thousands of locations. You can get contact details and know the travelling and booking behavior of your clients so that you can inform them about discounts, new services, etc. After studying the requirement,MobileAPPtelligence provided the solution to overcome the challenges. The iPhone and Android application was developed using the COCOA Touch ,Apple Push Notification (APN),Mapkit etc. The applications were published for free to download in Apple store and in Google Play Store. The apps became an effective marketing strategy to reach the more audience. To know more about travel-products-and-services-booking apps development, please visithttp://www.mobileapptelligence.com/ . 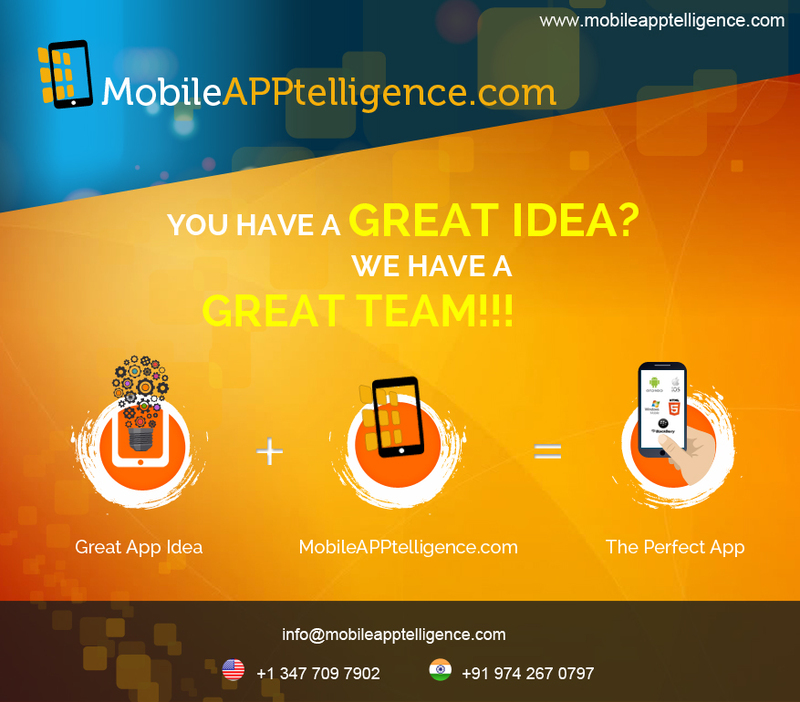 You can call us at +91.8880321321 and email us atinfo@mobileapptelligence.com. This entry was posted in Mobile Apps Development and tagged mobile application development service, mobile application development services, mobile application development services india. Bookmark the permalink.